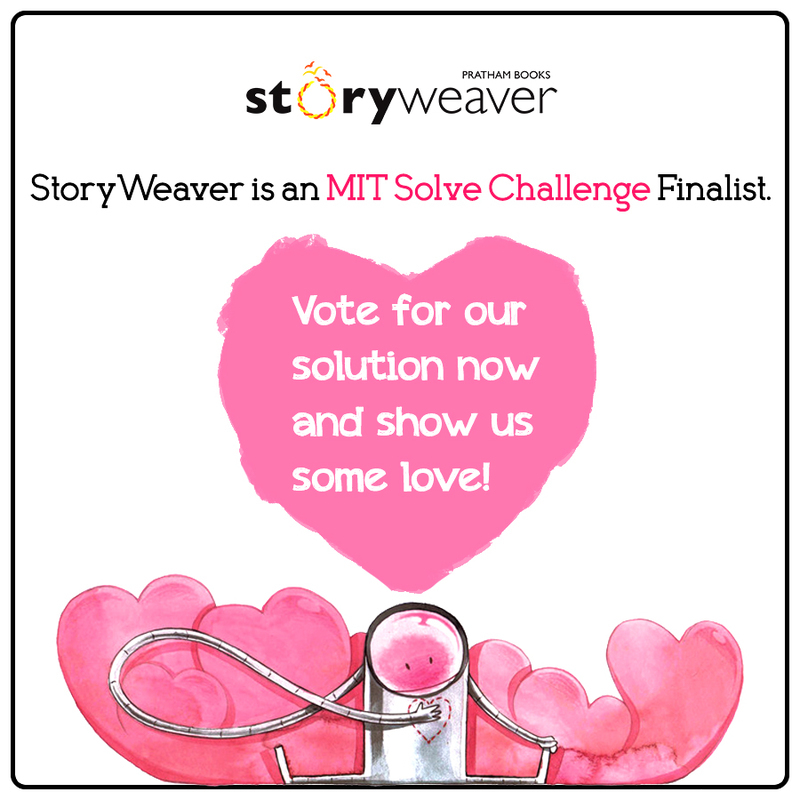 StoryWeaver is an MIT Solve Challenge Finalist! UPDATE! We're delighted to announce that StoryWeaver is a member of this year's Solver Class in the Teachers and Educators section! We're so proud to share this with some amazing organisations from around the world! We're delighted to announce that StoryWeaver is one of 60 global finalists for this year's MIT Solve Global Challenge. Earlier this year, MIT Solve asked for solutions from around the world that answered four global challenges: Work of the Future, Teachers and Educators, Coastal Communities and Frontlines of Health. StoryWeaver applied under the Teachers and Educators challenge that posed the question: How can teachers and educators provide accessible, personalized, and creative learning experiences for all? StoryWeaver is proud to be shortlisted alongside innovative solutions from around the world like Barefoot College, Practical Education Network and the International Rescue Committee to name a few. This weekend, we will be pitching our solution at the Solve Challenge Finals in New York with these other finalists. You can watch the live stream of the finals here at 18h30 EST on 23rd September 2018 (24th September 4 AM Indian Std Time). VOTING HAS CLOSED FOR THIS NOW. Community members can also vote for their favourite solution. The solution with the maximum number of votes will get a community appreciation certificate. You can create a valid login to vote and then vote here. Fingers crossed and all the best to the other finalists!